Although some U.S. companies are seeing an uptick in the economy, others have yet to see a significant change in what’s been a sluggish business environment. If your business is still waiting for the upturn, consider getting creative with your marketing budget and looking for turnkey marketing solutions that work — in good times, as well as bad. These tips can help you expand your borders, think creatively about marketing to your customer base and help you turn around a tough economic situation. Know your target consumer – In a tight economy, this truism becomes more important than ever. For any turnkey marketing solution to really work, you need to know to whom you should market your products and services. Learn what drives your customers – Take the time to investigate psychological motivators that drive people to buy, according to their wants, needs, desires and fears — and then develop a marketing strategy that appeals to those motivators. 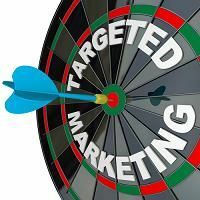 Know who you’re selling to – Your turnkey marketing solutions may need to speak to multiple decision makers. If you’re selling banking services or heating and cooling equipment, your marketing campaign will likely need to address two decision makers in the home. A turnkey marketing campaign that uses cross-media tools and a sequence of communications can, over time, address multiple decision makers’ concerns and needs. Take full advantage of your market share – Your campaign should not only fully address your target consumers, but also position your business as the go-to choice that sets you apart from the competition. In difficult economic times, the choices you make in terms of marketing have an amplified effect on your business. For access to proven turnkey marketing solutions and to maximize your investment, contact Continuity Programs today, and find out more about our turnkey marketing solutions, customized to your business’ specific needs and goals, and personalized to optimize every opportunity to increase brand awareness.